GM’s champion small car remains a success but fails to stand out. Every so often, a new vehicle comes along that’s so thoroughly impressive, it changes expectations of an entire brand or class of car. The 2011 Chevrolet Cruze was one such case. A comprehensive rethink of the crapbox Cobalt it replaced, the Cruze proved General Motors could once again build a compact car that genuinely felt more like a premium offering than anything else in its class. 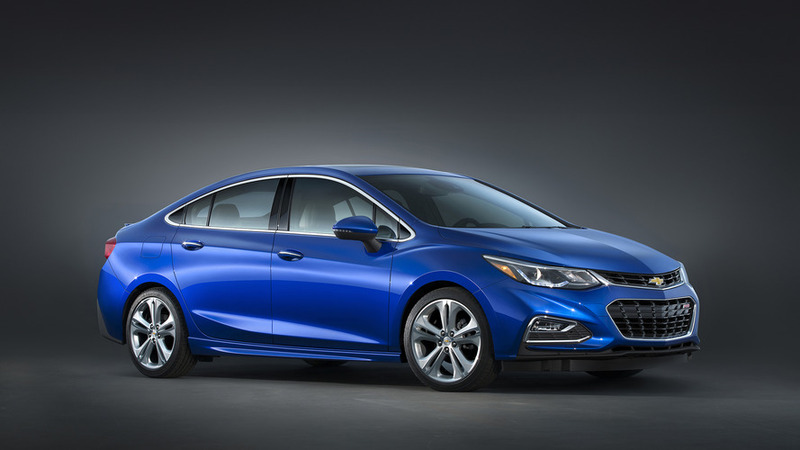 Fast forward to 2016, the second-generation Cruze is a solid step forward for Chevrolet, but it’s no giant leap for car kind. The all-new model improves upon the outgoing car in every measurable way, bringing with it a number of thoughtful updates that bolster this compact’s position as one of the better cars in the class. 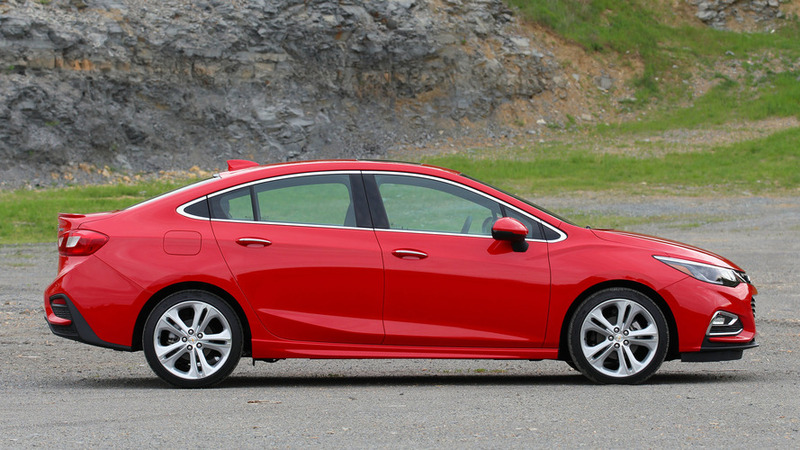 But a lot of the Cruze’s competitors have stepped up their game in recent years, which means it’s harder than ever for the Chevy to stand out. Visually, at least, the Cruze dons a more upscale, handsome appearance than before. It’s a little derivative of other Bowtie products – the Cruze looks a little, let’s say, Voltibu, in profile – but from all angles, this is a more attractive package than the bulk of the compact set. Especially in top-level Premier trim with the RS package pictured here, the Cruze has an assertive stance on the road, with 18-inch wheels that nicely fill the wells but don’t in any way ruin the ride quality (more on that in a minute). 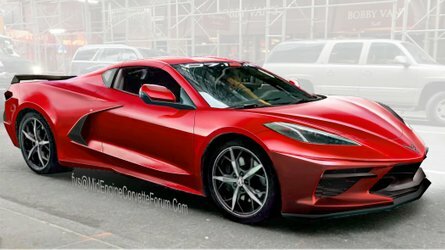 No, the Chevy doesn’t look nearly as good on the base 15- or 16-inch wheels of L, LS, and LT models, but that doesn’t affect the car’s overall appearance too much. A mid-grade Cruze might not turn heads like a new Honda Civic, but it certainly won’t just fade into the background like a Nissan Sentra or Toyota Corolla. It’s a little derivative of other Bowtie products. The Cruze looks a little, let’s say, Voltibu, in profile. The interior isn’t as much of a visual treat, but if you only notice one thing while sitting in the Cruze, it’s that it’s ridiculously quiet. Engine, road, and wind noise are all nicely filtered out, and this makes the sedan feel extra comfortable while driving. Plus, visibility out front is superb, with a commanding view of what’s ahead. 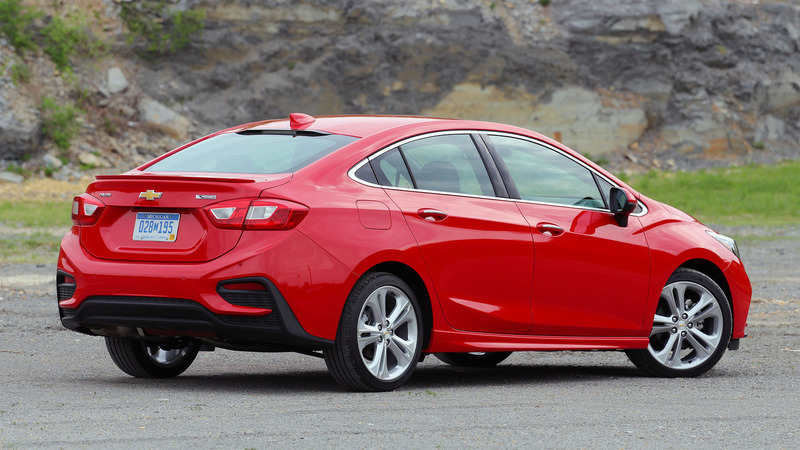 The steeply raked beltline and high trunk height make rear views a bit tough, but it seems like automakers don’t really care about that as much anymore, given the proliferation of backup cameras, which the Cruze offers as standard equipment. A range of cloth and leather seating surfaces are available in various colors. Base models look and feel as rental car spec as you can imagine, but the upscale Premier is a relatively luxurious affair. I’d rather sit in the Chevy than just about anything else in the class. The Cruze feels on par with the new-for-2017 Hyundai Elantra, in terms of overall use of space and the simple layout of vehicle controls. But while the 2016 Cruze is larger inside than its predecessor, the aforementioned Civic and Elantra boast more passenger volume, as do the Sentra and Corolla (if you want more space, wait for the Cruze Hatchback). 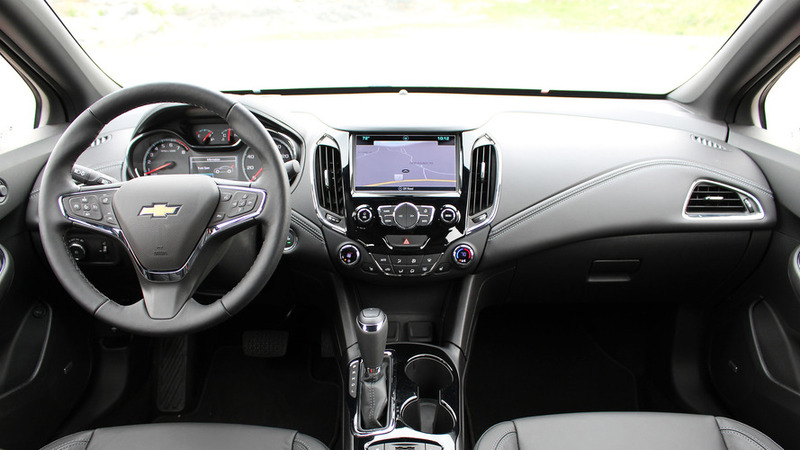 Still, Chevy offers a ton of stuff inside the Cruze, including heated cloth and leather seats, a full MyLink infotainment suite with OnStar 4G LTE connectivity, advanced safety features like forward collision warning and lane keep assist, and plenty of space for beverages and purses. It’s all completely competitive within the compact class; it just doesn’t stand out as above and beyond the rest. Base models look and feel as rental car spec as you can imagine, but the upscale Premier is a relatively luxurious affair. 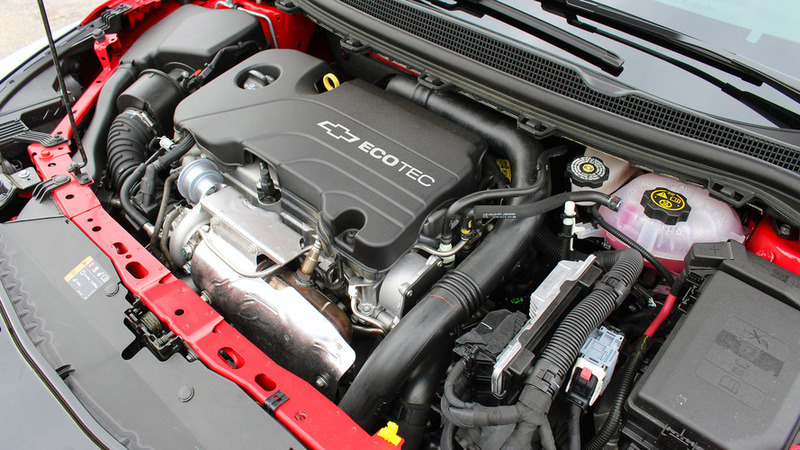 That said, a particular bright spot with the 2016 Cruze is its sole powertrain – the turbocharged, 1.4-liter Ecotec four-cylinder engine with 153 horsepower and 177 pound-feet of torque. Manual and automatic transmissions are available, both with six gears. 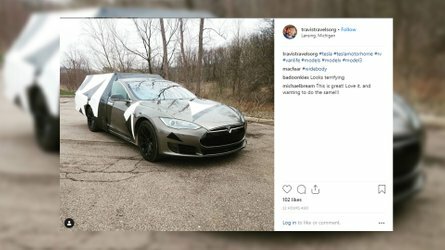 I drove both, cruising (pun intended) around downtown Nashville and heading out into the surrounding Tennessee countryside, and while it sort of pains me to say this, my advice is to skip the stick. I know, we all have to save the manuals, but in this case, it’s not worth it. Shift throws are long and vague, as is the action of the clutch. The automatic, on the other hand, is a smooth operator that’s relatively unnoticeable most of the time, except for the occasional laggy gear change. Forget about using the stupid +/- toggle on the top of the gear lever, though – the automatic has no desire to be told what to do, and the placement/action of the buttons is really kind of dumb. Back to that engine – it’s one of the best in the class. Power delivery is smooth and linear, with lots of torque available in the lower end of the rev range. Chevy estimates a 0-60 time of 7.7 seconds, which feels a bit conservative under my heavy right foot. The available power is totally adequate for the size (the Cruze is as much as 250 pounds lighter than before), and the turbo engine is refined and quiet. Efficient, too – base models with the six-speed automatic are good for up to 42 miles per gallon highway (30 city), which is on par with the Civic and Focus and better than anything else in the class, though the heavier Premier only gets 40. Manual cars achieve 29 mpg city and 41 mpg highway. The 1.4T is the only engine available for now, but Chevy says a diesel-powered Cruze will arrive sometime next year with even better fuel economy numbers. The Honda Civic and Mazda3 make you really enjoy the drive; the Cruze just makes you glad you didn’t buy a Corolla. On the road, the Cruze’s manners are above average for the class. 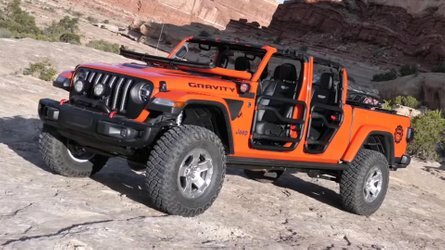 There’s a noticeable on-center deadness to the electric power steering, and the chassis is compliant over bumps but not terribly vague on smooth roads. Opting for the Premier improves the experience. 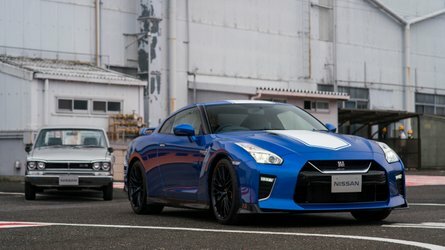 The rear torsion beam suspension of base models is swapped out for a more sophisticated Z-link setup, and the steering ratio is actually a bit quicker – 16:1, versus 17.2:1 in L, LS, and LT models. Combine that with larger rolling stock and you’ve got a Cruze that’s a bit more engaging on the road, with crisper steering, more communication through the chassis, and a rear end that’s less prone to wash out during spirited cornering. But again, it’s closer to average than class-leading. The Honda Civic and Mazda3 make you really enjoy the drive; the Cruze just makes you glad you didn’t buy a Corolla. That’s kind of what it comes down to in the end. The Cruze is a wholly competent and enjoyable product, but it doesn’t blow the doors off so many in the competitive set like the old one did. I know I keep benchmarking the Civic and Mazda3, but seriously, in every aspect, these cars genuinely feel like more premium vehicles, even if they’re similarly priced. The base Cruze L model starts at $17,495, but a loaded Premier like the one you see here goes for just under $29,000. A Civic Touring costs over $1,000 less, it looks way better, is just as efficient, has more room inside, and comes with just as much safety and convenience features. Put me at an airport rental counter and offer me a Cruze, Corolla, Sentra, Elantra, Focus, or Dart, and I’ll pick the Chevy every time. 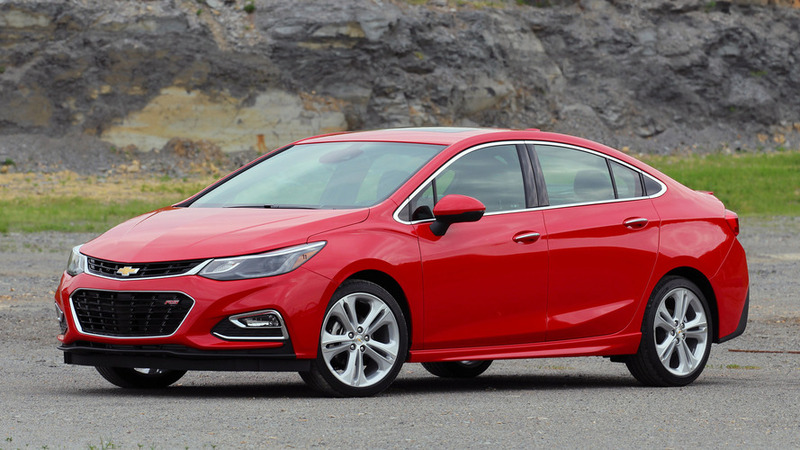 Credit where credit’s due, the last-generation Cruze put all other automakers on notice, and since then, the compact class has become even more competitive with really solid offerings from every player. But while some other companies offer an experience that really feels special, the Cruze just sort of runs in the middle of the pack now. Don’t get me wrong, Chevy’s new compact checks all the right boxes and is a more compelling option than most other compact cars. Put me at an airport rental counter and offer me a Cruze, Corolla, Sentra, Elantra, Focus, or Dart, and I’ll pick the Chevy every time... they never rent Hondas. 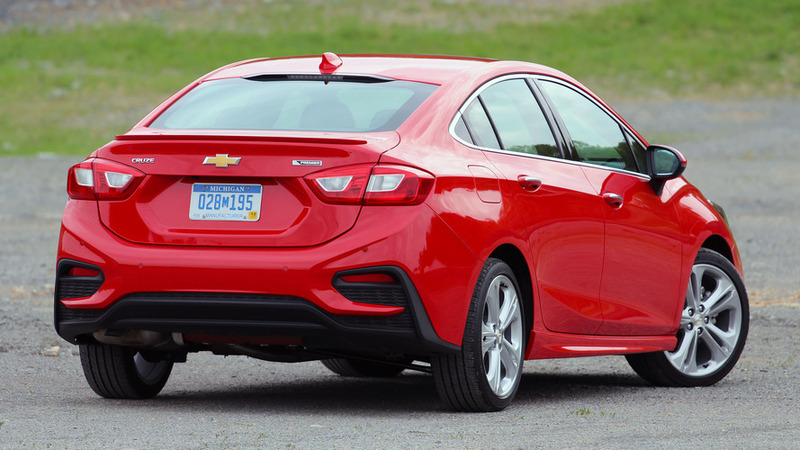 The 2016 Cruze is another success for GM’s small car team. It just doesn’t quite stand out like it used to.